Keep up to date with everything that is going on at Chadron Middle School. This Blog provides quick access to Chadron Middle School information and events including teacher blogs, grade level homework and district information. Important!!!!! Registration/check-in and Start/Finish will all take place at CHS track!! (NOT the NPAC as originally planned.) We look forward to seeing a huge crowd on Saturday! What's Going On During the Last Days of the School Year at CMS? It is the last full week of school and I wanted to give you a heads up on some of the things that are going on. Students should begin cleaning out their lockers this week. 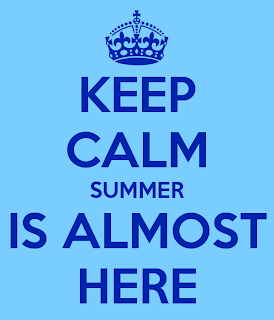 The 8th graders will check in their locks on Friday, May 17th and the 7th graders will check out next Monday, May 20th. 5th and 6th graders will check in their locks next Tuesday and Wednesday. The 7th and 8th grade Recognition and Awards Assembly is on Thursday, May 16th at 6 PM in the HS Auditorium. We have reorganized the program so that it is not as long as it was last year. The program should take about an hour. 7th and 8th grade finals are on Tuesday, May 21st. The students will take a final exam in each of their core classes and then be dismissed for summer break at 11:15. 7th and 8th graders may stay for lunch, if they wish, but they will be expected to leave campus once they are finished eating. 5th and 6th graders will have a full day of school. On Wednesday, May 22nd, 5th and 6th graders will report to their 1st period class for attendance. Students will have activities from 8:00 to 10:00 and then report to the gym for the 5th/6th grade Awards assembly. Our students' parents and their families are welcomed to attend. This is a bigger assembly than the usual end of the quarter assembly because teachers will give awards to students for a number of different achievements. Students will be dismissed at 11:15. At 11:15 on Wednesday, May 22nd, there will be a cookout picnic behind the HS. All are invited to attend. Report cards will be mailed home on May 29th. In July, I will send out an email, facebook message, and remind 101 message to parents with information about the beginning of the year parent meetings. 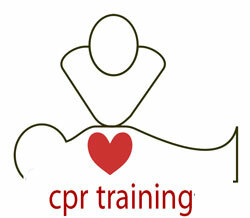 Chadron Middle School will host a CPR certification training on Monday, May 13th at 6:30 PM in the Middle School Library. The cost of the training is $30.00 per person and all of the proceeds will go towards funding the students who qualified for the National History Day competition in Washington D.C. this summer. If you are interested in attending the training, please contact the Chadron Middle School office at 432-0708.